Yesterday I posted a gren peas and mint chutney! These days the Missus steam them with other vegetables and cover with a thin stock soup while they are hot and let them marinate in the fridge. Great chilled as an appetizer or as a snack with sake! 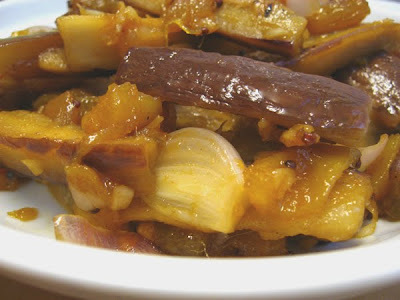 I want to make some mango chutney too...they seem so good with any dishes. 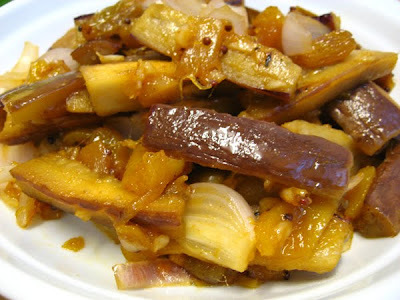 mango chutney seems very versatile! Sounds really good with aubergine! Whenever I saw something sweet & sour or dipping, my mouth watering....:)Aduh, air liur sudah meleleh-loh ! @ pigpigscorner: Hi, it is exotic in taste...great combo! @ My Little Space : Haha, make sure you wear a bib before coming over to drool :p Btw..Congrats once again Today's Top 9 !!! 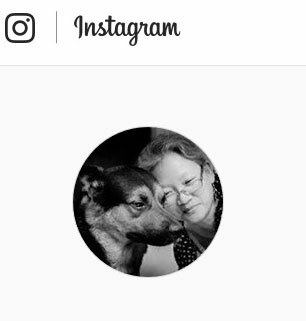 wow this is nice! yummy delicious! 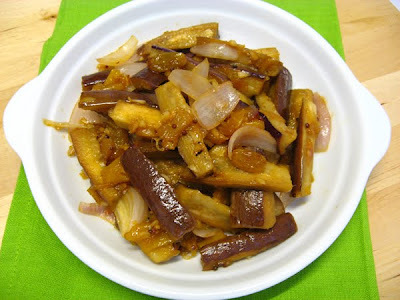 This is a perfect way to use eggplant (aubergine)! 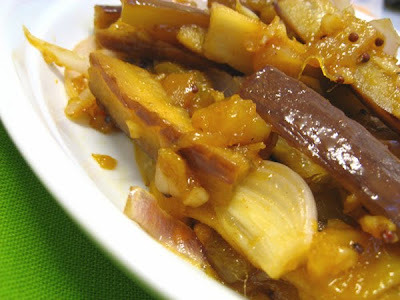 The combination of flavors between the eggplant and mango is a great idea.